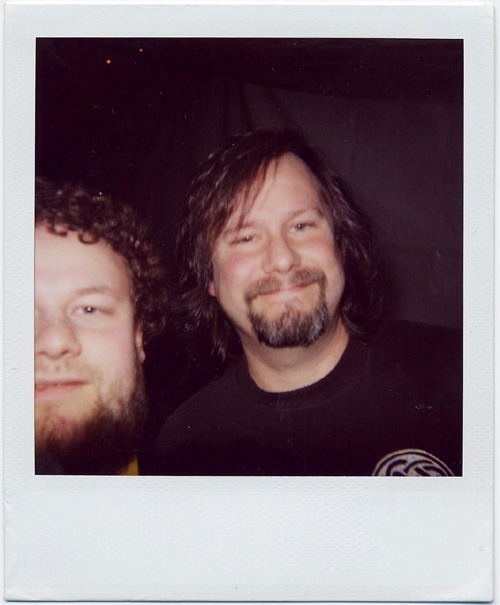 Haha, a wonderful drunken polaroid picture of me and Billy Gould from Faith no More, had some beers with him the night before, truly a really great guy. Taken in Bergen when he played with Black Diamond at the Alarm award ceremony. Someone found this image on Flickr and used it on his Wikipedia article. So proud!